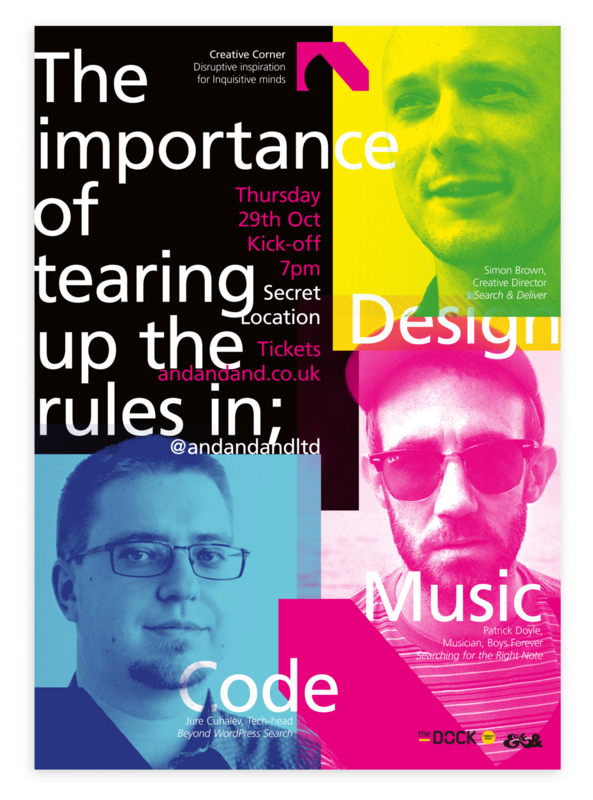 Creative Corner: The importance of tearing up the rules in design, code and music. If you couldn’t make it to ‘Tearing up the Rules’ don’t fret! The design heads behind Creative Corner have produced a three part video series for each key note speaker. Forming the backbone of our living archive called Creative Corner Uncut. 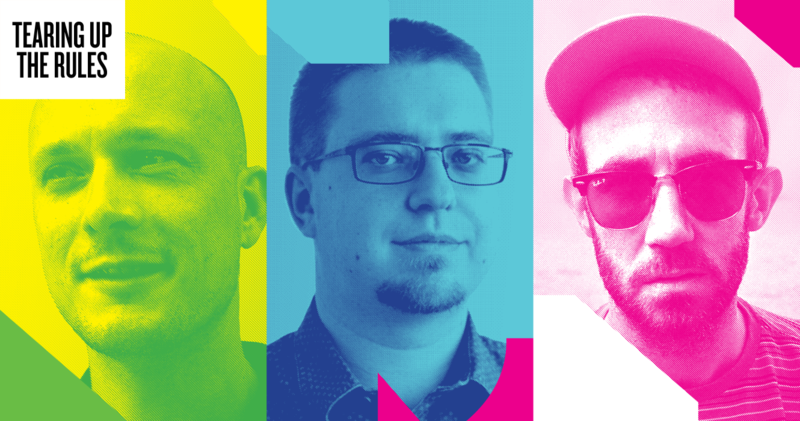 This months Creative Corner is set to be electrifying as we see three experts in their respected fields go back-to-back. Sharing their knowledge will be the Creative Director Simon Brown, the coolest tech head we know Jure Cuhalev and banging his drum will be the musician Patrick Doyle. It’s set to be an inspirational account of how you need to adapt and what you need to succeed in the shifting landscape of the creative industry we now face. Email Us or +44 (0)20 7739 2135. Simon Brown, Founder / Creative Director of &&&, shares the motivation you need to run a creative agency. Not all goes well, not all gets published. It’s amazing what does and where your passion will take you. Be prepared as we aim to kick-start a creative idea on the night. Jure Cuhalev, the coolest tech head we know, reveals the power that can be unleashed when a website implements a sophisticated search. How this affects design and the user experience. Once we’re not limited to a simple text search we can; build new types of interfaces, improve related content and increase audience engagement. Set to be an enlightening how to guide on Solr, the open-source search server based on the Lucene Java search library. Patrick Doyle, the former drummer from the band Veronica Falls will be sharing what its like to start a solo career. Banging his drum, literally! With his newly anticipated solo single under the name Boys Forever released on the new label AmourFoo. There will be flashing lights, images and music at this meet-up. Plus practice your catching skills, as Catchbox, the world’s first throw-able audience microphone, will again be transforming question time into a lively debate. Be prepared to be inspired! We are! His innovative design has won him a series of awards from: PPA to PTC to Magazine Design Awards. A collaboration with Taschen Publishing and Architect, Rem Koolhaas, inspired Simon to start &&& Creative. 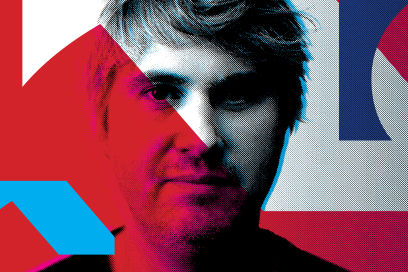 His passion for design and content has taken him and his team on international journeys, with a client base ranging from; Vodafone, Trinity Mirror Plc, The Serpentine Gallery,to name a few. One of the new players in the Ljubljana tech scene. His clients range from early stage startups, news organisations and non-profit organizations. His most recent projects include sites for three of the largest radio brands of Radio-Television in Slovenia, Open Education Search portal. His spare time is filled with organising the largest Slovenian Web Conference – WebCamp and maintaining Prevoz.org the oldest and biggest local carpooling site with tens of thousands daily users. For the last 10 years, Patrick has been actively making music with friends in various formations. Most recently he recorded his first full length solo single under the name Boys Forever in Los Angeles, CA. Past recording projects have allowed him to tour the world extensively, developing his skills as a multi-instrumentalist and experimenting with different disciplines. Patrick adopts a self-taught, minimalist approach to writing and arranging music, with an acute awareness that what you leave out is often more important than what you leave in. A monthly meet-up aimed at inspiring and educating creative’s through shared experiences revealing the changing landscape of our creative industry, what it’s really like and what you need to succeed. If you have never experience the disruption that Creative Corner brings look no further than the highlights from ‘How to have a digital hit’. 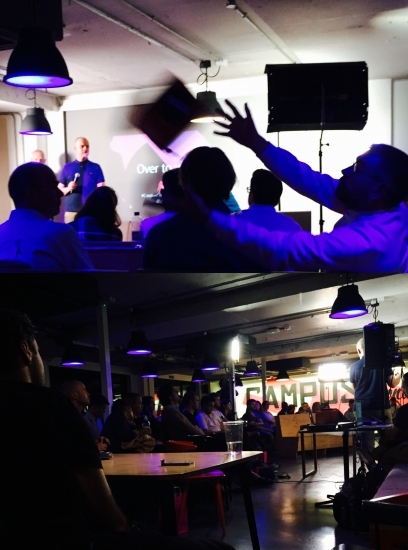 Where Jay Pond-Jones & Sam Delaney set Campus London, a Google space, on fire with their inspiration.